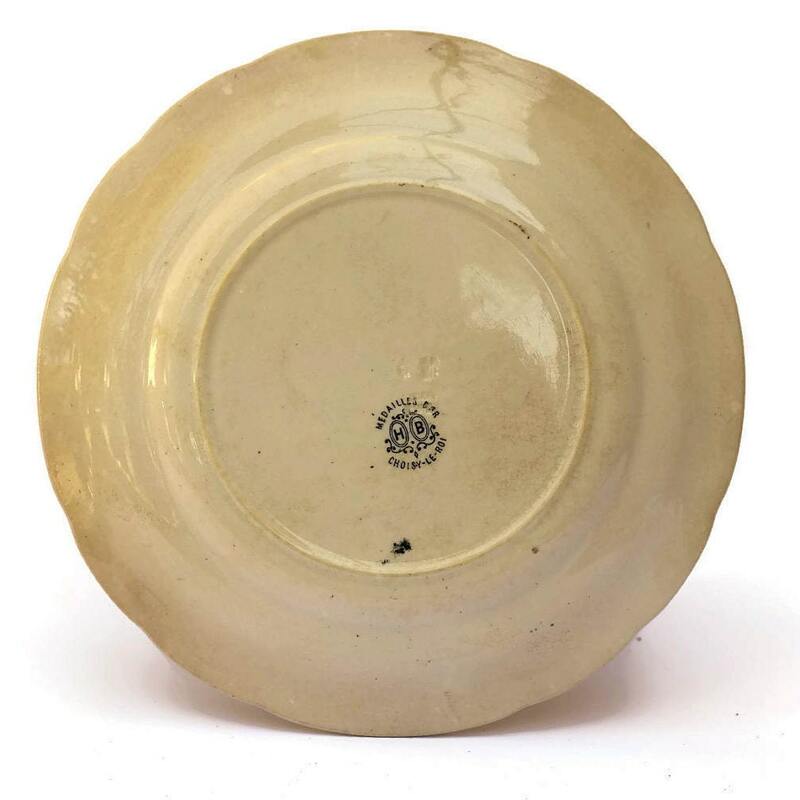 Reserved French Antique Faience Wall Plate. Coronation of King Charles VII. 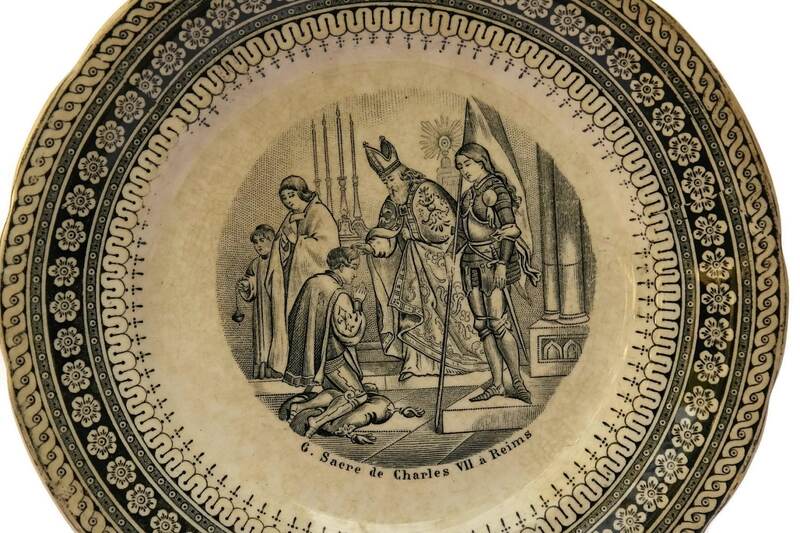 Choisy Le Roi Jeanne d'Arc Collector's Plate 6. 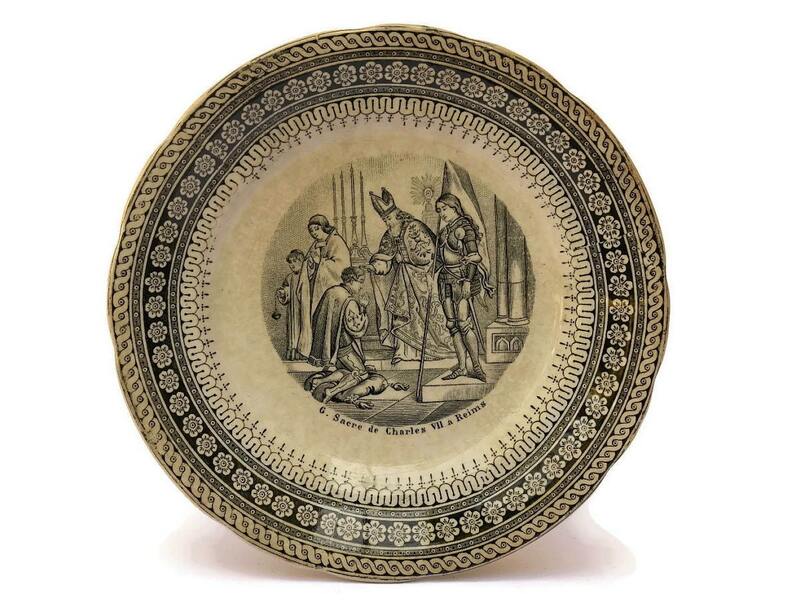 An French antique faience wall plate commemorating the life of Jeanne D'Arc (Saint St Joan of Arc). 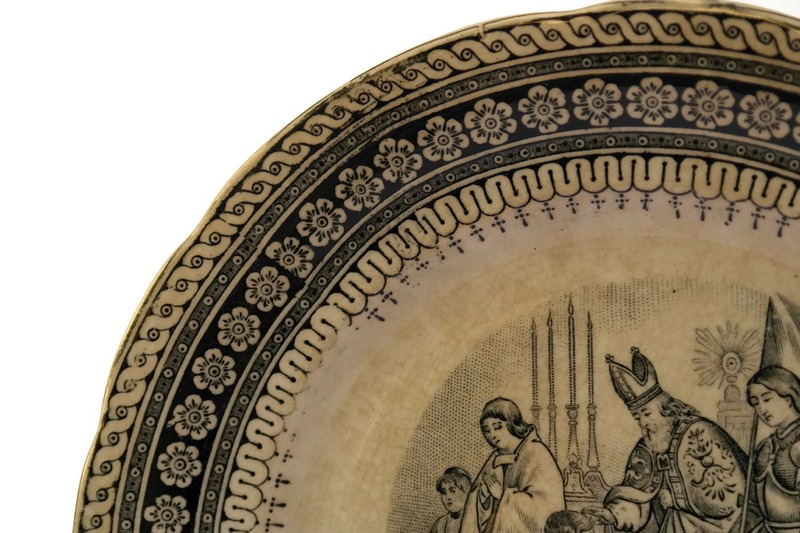 The glazed ceramic plate was created in France in the 1800s by the renowned faience company Choisy Le Roi and formed part of a numbered series depicting important stages in the life of Jeanne D'Arc. 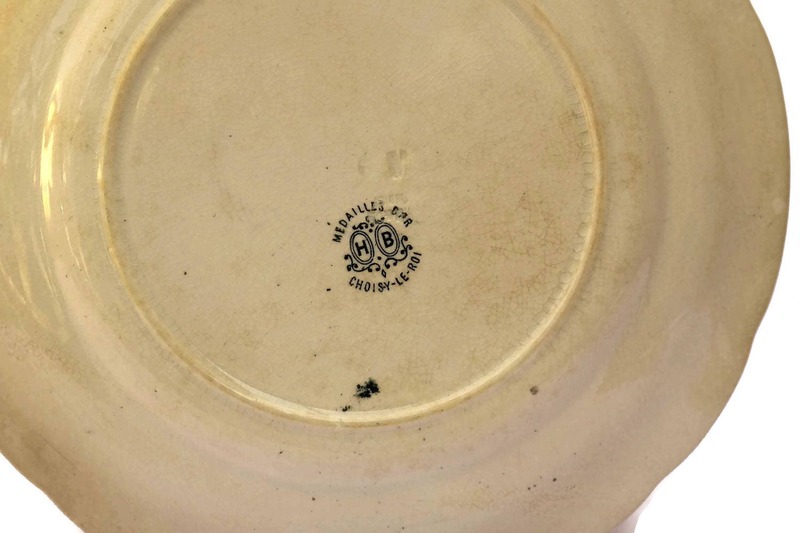 It features a central medallion with an transferware illustration and has been numbered "6" and titled in French "Coronation of Charles VII". The reverse side has been stamped with the Choisy Le Roi maker's mark. It measures 7 1/2" (19 cm) in diameter. The antique Joan of Arc plate is in good condition with age appropriate wear including light crazing and shading to the glaze in places. Another beautiful plate from one of the best sellers on Etsy.